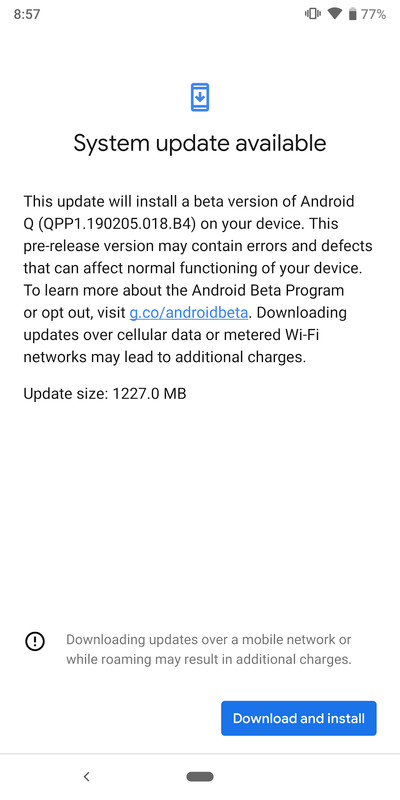 So, Android Q's beta program just dropped and it's available to any of the Pixel devices to give it a try. 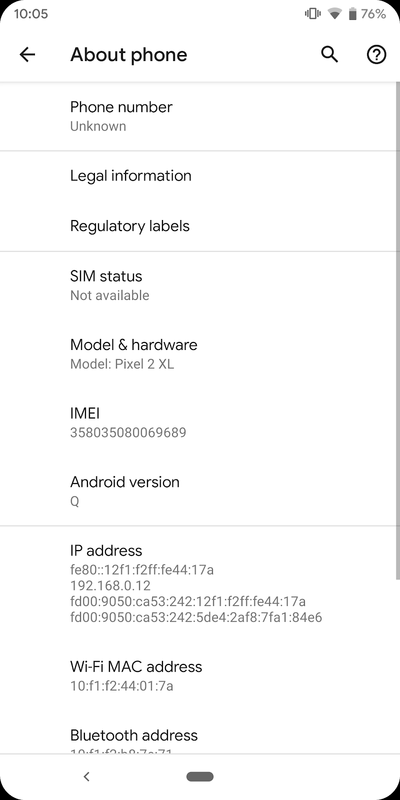 I happen to have my old Pixel 2 XL still kicking (didn't quite yet want to try it on my daily Pixel 3 just yet) and fired it up. From there you see which of your signed in devices are eligible to opt-in, and then you opt in. 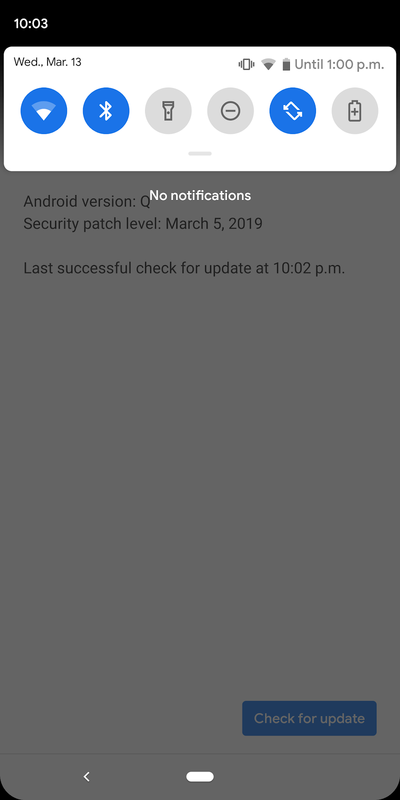 Give the device a few moments and then you'll get the notice to update your device. Wait patiently and you'll be presented with the newest Android version. 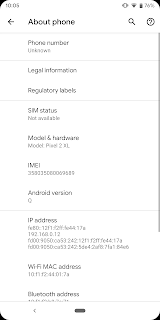 No bootloader oem unlock or nothing. Jus opt in and go. So, first up the thing I noticed was the font. 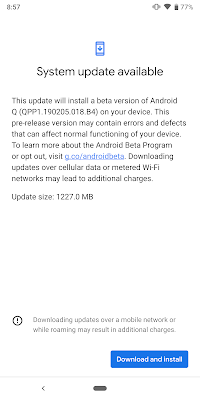 I thought I had seen it before on the Android P beta, but checked again against screenshots and no. New font, minor difference. Another thing I noticed was that when you pulled the shade down the top right showed how long the battery will last until. I also noticed that all screenshots now have black corners. See, we only see the white portion anyways, but technically the display is still a rectangle, it just shows black rounded corners that we never see anyways. Apparently, with Pixel 3 it does the same for the notch. Kind of a pain, my OCD is going to have a field day with that, but meh ... not a deal breaker. or anything. For me an almost deal-breaker level annoyance is that to swipe away notifications you can only do it now in one direction: swiping to the right. Swiping to the left brings up notification options. 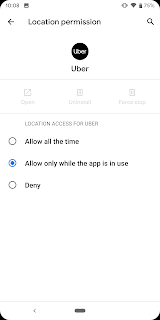 An under the hood style update comes in from a different look at App Info. Slightly different UI, but the main difference is the fact that for permissions you can put limits on it. 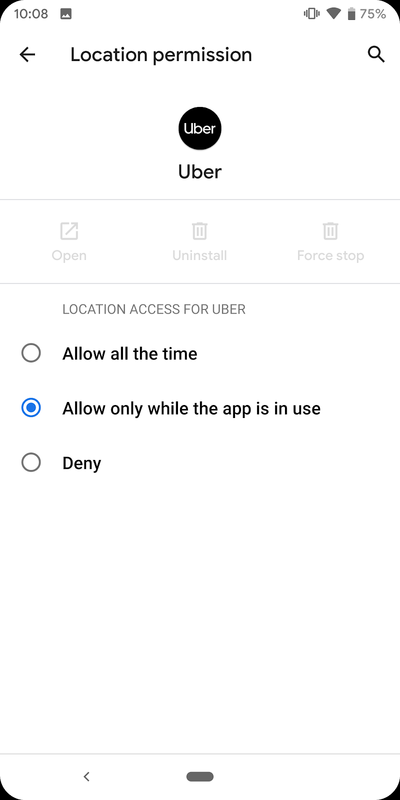 For example, with location permissions you can limit access to be only allowed while the app is in use, so while it's hanging out in the background it can't determine that information. Apparently, there's a built-in feature to do screen recording, but I can't seem to find that option. I'll keep playing with it. See what I like and provide feedback where I can. What will Q be called?